While I don't usually dedicate my stories to anyone, I do want to dedicate this chapter to the amazing Russell T. Davies. A truly wonderful, challenging & inspiring writer. I know you'll never-ever read this, but thank you so much for bringing the Doctor back into my life, at a time when I needed him the most. You absolutely helped save my life. You are my hero. "Enjoy the last moment's of your life, Doctor." Davros had said. The Doctor cocked his head at the image of Davros floating above him. With a smirk, he replied, "On a scale of one to ten of enjoyable things, I'd give it a...I dunno, a four and a half?" He smiled, "But I have to say that I do find this moment, quite a satisfying one." With that, the Doctor's hand shot out. With a smug expression, he pointed the sonic screwdriver at the ceiling and pressed the button. Suddenly, in the background behind Davros' chair, there came sparks from the hundreds of individual Daleks. Each and every one of them began screaming in protest. "TRANSMAT LINK TERMINATED! ALERT! ALERT!" "Impossible! This cannot happen. What have you done, Doctor?" an agitated Davros ranted, as part of his chair too, gave a sudden spark. "I'd think it was pretty self-explanatory at this point. But if you're that thick...? I just shorted out all the transmat links. And—" He pretended to look at his watch, "oh, will you look at the time? You've just three minutes left. Still, that's good for farewell drinks at the local. You do have a pub down here?" "Doctor," wheedled Davros, trying another tack, "If you fix the transmat, I will give you the code that disarms the bomb." "I'd like to see things from your point of view, Davros. Really, I would." The Doctor answered, "But I don't think I can cram my head that far up your, er,...chair." "Doctor! Fix the link. Or I will have your friends killed." Davros demanded, his claw-like hand stabbed out, pointing in accusation, "You will watch them die first, if you do not do as I say." "Pfft! You call that a threat? We're going to die anyway. Does it matter what order it happens in?" "Er—yeah. It kinda' does, Doctor." Clara murmured. Jack looked at her and only shrugged. "You will restore power to the transmats, Doctor." Davros ordered. "Why?" The Doctor shot back. "Do you think I want to save you? Well, I'm not that man anymore. Haven't been for a very long time. I killed my entire species to end the war with the Daleks. Did you think this was some bedtime story? Sometimes there are no happy endings. We can't always have things our own way. We're all going to die. Me, you, the Daleks. Quel dommages, Davros." The Doctor stared the image of Davros in the eye. Defiantly, he spat out, "I am. The. Oncoming Storm." "Uh, Doctor." Jack said softly, "Sorry to interrupt your little confab, but I think we've got company coming." Out of the corner of his eye, the Doctor saw a Dalek gliding towards them from across the room. "One of you boys has wandered in, I see. Bit late for the guided tour. Already did that. Absolute rubbish, if you ask me. Not even a souvenir postcard or a stick of peppermint rock on offer. And you'd think in a place like this there'd be at some candy rock for sale. I'm very disappointed in you, Davros." "You will do it, now Doctor. Or the girl will die." "Now, you shouldn't have said that. Cos' she's not just a girl. She's the impossible girl!" The Doctor said triumphantly, throwing Clara his sonic. "Take that," He pointed to a place directly beside her, "and point it at that exact spot in the floor in about, oh...forty-five seconds, will you, Clara?" He asked her. "If you say so, Doctor." She nodded, deciding his track record was worthy of her trust. "I sure hope you know what you're doing, Doctor." Jack said, as he shouldered his anti-Dalek rifle. "EXTERMINATE!" The approaching Dalek shouted, aiming for Clara. "I don't think so." Jack said, he shot the Dalek with his gun. But as the red ray streaked out from the gun's muzzle, it flowed over the Dalek. The Dalek was stalled, but it still was able to speak and wiggle its sucker arm. 'They've developed a force field against this thing already? That was quick." Jack muttered. "Better hurry, Doctor. This won't hold it off for much longer." "My Daleks can adapt to fight against any weapon. Surrender and deactivate the transmat block. You haven't a chance." Davros gloated. "KILL THEM! KILL THEM! EXTERMINATE! EXTERMINATE!" Screamed the hundreds of Daleks behind him. "Oy! I am seriously going to need some aspirin, if they keep going on like that." The Doctor winced. "Why couldn't you invent a mute button, Davros?" At that very moment, the enormous round cyclotron began to give off a high-pitched whine. Smoke began pouring out of the top. The machine began shaking so much, that the floor vibrated and pipes inside the room began bursting, belching steam into the air. "Very well. The Daleks will be destroyed. The three of you will die. So be it." Davros said ungraciously. "But at least I'll have the satisfaction of knowing that time and space will be rid of you, Doctor, once and for all." "Meh. Maybe not. Sorry." The Doctor said. He looked at Clara. "Do it. Now." Before the cyclotron blew up, the three of them disappeared. They appeared again inside the underground temple, beside the altar. The Doctor wasted no time. They made a mad dash to the TARDIS through falling rock, the marble columns supporting the temple roof collapsing around them. Seconds later, the sound of the TARDIS de-materialization was nearly drowned out by the whole temple collapsing in on itself. Safely outside once more, they stood in front of the doors on a distant mountainside, miles away. All at once, the entire mountain housing the Dalek's tunnel complex vanished in a roar of fire and smoke. Rocks were spewed into the air as a dense gray mushroom cloud rose towards the sky. 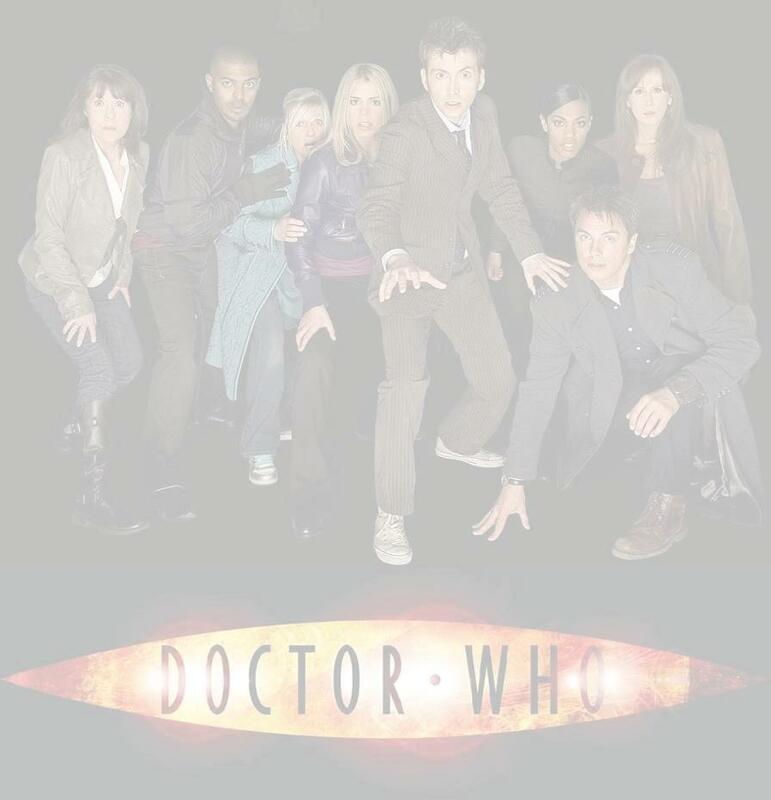 Even at that distance, the Doctor and his companions could feel the ground shaking. When the smoke cleared, there was no mountain. Just a huge crater filled with hot molten rock. "Yow-za!" The Doctor shouted, enjoying the show. Clara and Jack merely gave him a look. "Erm—OK. Maybe not so much of a yowza, as an 'awesome!'?" He asked tentatively. "How will anyone explain this, Doctor?" Clara pointed to the crater. "You know how people are. They'll say that it's just another volcano, I expect." Jack answered. "Right, Doctor?" "And what about you then, Doctor?" She asked. "You wanted to save Davros. when we first escaped Yet you had no problem letting him die. Sometimes I don't understand you, Doctor. " "Then maybe you shouldn't try." He answered shortly, opening the door of the TARDIS and stepping inside. As they entered the control room, Jack gave Clara a worried look. He shook his head to warn her, but she wasn't going to be put off. She stood in front of him and spoke more softly. "Look, Doctor. I wouldn't travel with you if I believed for a second that you were some cold blooded killer. I'm just trying to understand. Why did you want to save him in the first place?" "Because..." The Doctor struggled to explain a side of him he wasn't sure he understood, himself. "I have to at least try to be better than that, Clara." "Fair enough. And that's why I do travel with you, Doctor." She said, reaching up on her toes to give him a peck on the cheek. "I don't think Davros really is dead though, Clara." Jack said. "What makes you think that, Jack?" The Doctor asked, as he worked at the controls. "Not that I'm doubting you." "It's something he said, just before we got away. That the Daleks were going to die. And us, too. But he never said a word about himself." "I guess," The Doctor sighed, as he piloted his faithful ship through the vortex, "that we'll just have to wait and see." "Yeah, not something I'm looking forward to." Jack nodded. "By the way, would you mind dropping me off in Palm Springs while you're at it? I left a gorgeous pair of blonds waiting for me at the country club." "So you're a real ladies man, eh, Jack?" Clara joked, nuging him with her elbow. "Actually, they're twin brothers. Synchronized swimmers. Fortunately for me, swimming isn't the only thing they can synchronize..."
"Right, lets get you home then, captain!" The Doctor interrupted before Jack could elaborate any further.